Light up the doorstep with this garden wall lamp from Philips Hue. It’s all controlled by your phone or tablet, letting you turn it on or off remotely with just one tap. Not only does it glow to provide a clear view, but it also creates an array of colours that fills your garden with a rainbow of rich shades and hues. You won’t need to pay for replacement bulbs anytime soon thanks to the 25,000 hour lifespan, and you can save energy by scheduling an automatic shut off for when you’ve gone to bed. Plus, it comes with a dimmer setting for getting the mood right at family parties or barbeques. 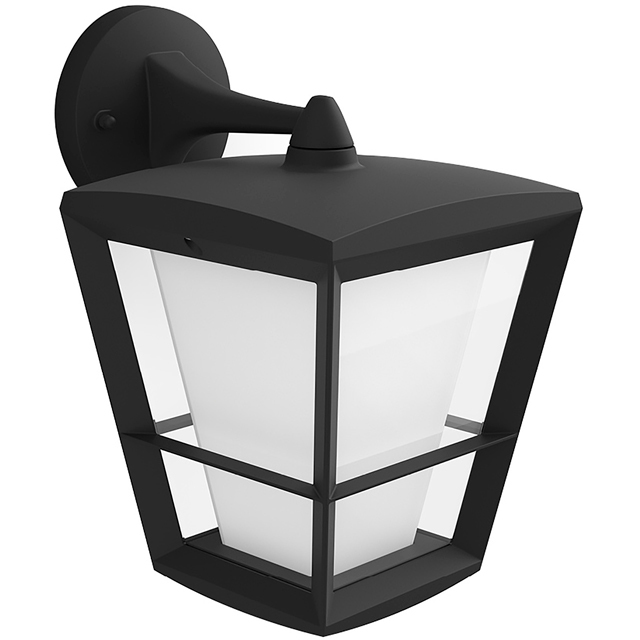 Please note, to get full use out of this smart wall lantern, you’ll need to download the Philips Hue app which works with both Apple and Android devices.